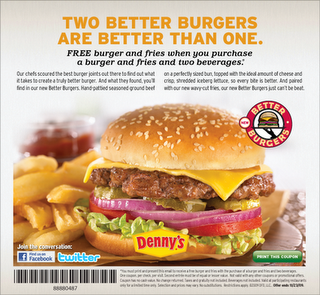 Buy a burger, fries, and 2 beverages and get a burger and fries FREE from Denny's (with coupon). Go here to print this coupon. The coupon is good through 11/23/2009.